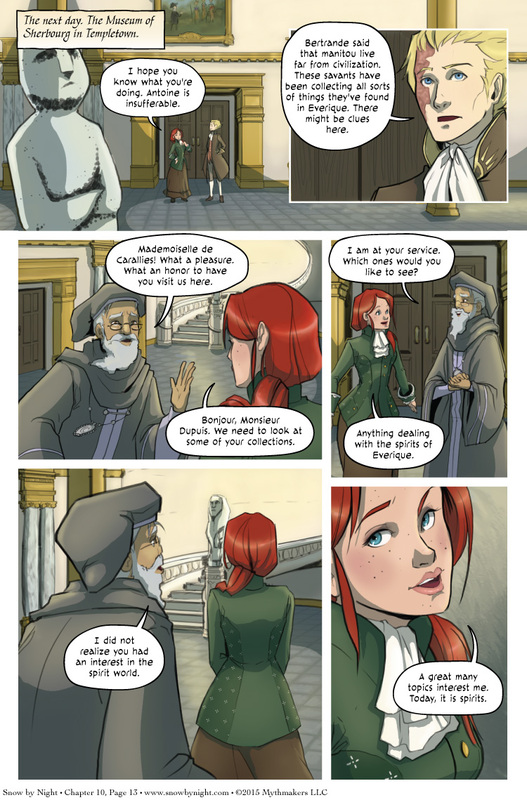 Vivienne and Jassart pay a visit to the Museum of Sherbourg on Chapter 10, Page 13. They recruit the services of Antoine Dupuis to help them. To see how that goes, please vote for Snow by Night on Top Web Comics. “Today, it is the spirits.” Love how she puts that!